What’s so bad about an incinerator in Cork Harbour? An efficient waste management solution to a waste management problem, right? Well it’s a little more complicated than that and after 15 years fighting the plans it would take a brave person to bet against Cork’s local resistance allowing a third planning application to be successful. Cork has one of the largest harbours in the world and is already home to a diverse range of industries from energy generation and shipping to refining and pharmaceuticals. The Irish naval service are headquartered at Haulbowline island in the middle of the harbour. A lot of traffic comes through this industrial and commercial hub. But the proposal to build an incinerator in Ringaskiddy has galvanized locals in opposition like no other issue. Certainly Cork needs an efficient waste management solution to deal with its waste. The long standing plan by waste management company Indaver has been to build an incinerator in Ringaskiddy on the west side of Cork Harbour. Indaver’s proposal would see the construction of a €160 million incinerator that could process 240,000 tonnes of waste per year. 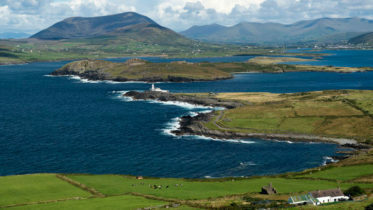 They believe it would form a vital part of Corks waste management infrastructure. And it probably would given that incinerators typically reduce waste volume by 90%. But many locals are strongly opposed to it and so far they have been successful in their efforts to stop the incinerator plan moving forward. The list of objections to the incinerator is long but pollution and the negative impacts on tourism are most commonly cited. The two previous hearings in 2003 and 2009 both saw permission refused. The third An Bord Pleanála oral hearing for the incinerator concludes today. 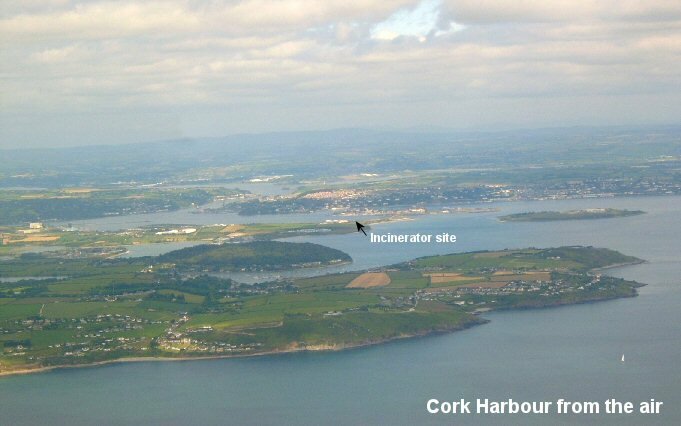 Should the Cork Harbour Incinerator be allowed? No, it’s the wrong solution, will cause pollution and it’s in a terrible location. Sure, I mean, what’s the worst that could happen? Opponents of the incinerator have been engaged in this fight for more than 15 years now and there is a sense it permeates the whole community. 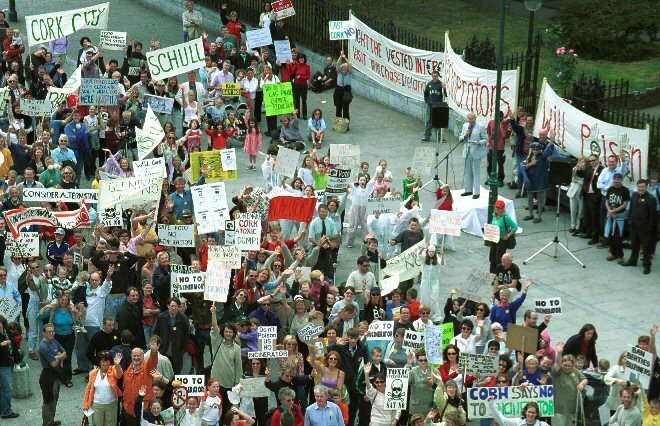 The local opposition has been spearheaded by CHASE (Cork Harbour Alliance for a Safe Environment) which has helped coalesce the community in vocal opposition with protest marches and active social media engagement. At the An Bord Pleanála oral hearing local schoolchildren, most of whom weren’t born when talk of this incinerator first arose, made a submission comparing the Incinerator to the Nuclear power plant in The Simpsons. It garnered a standing ovation from the public gallery. Famous names have also been lending their support. Cork local Jeremy Irons has been vocal in his opposition. With the An Bord Pleanála oral hearing concluding today, the fate of the Cork Harbour incinerator may soon be known. It’s decidedly uncertain, whatever the outcome, whether it will be the final chapter in this long running story. But whatever your feelings on the incinerator, if community activism is in any way an indicator, you’d be hard pressed to see the incinerator ever getting the go ahead.